You can read the comments on the piece there. I am the author. Exploring the Edge Realms of Consciousness, which you can take a look at HERE. I begin with Daniel’s quote because not only did it speak to me personally when I first read it, but no doubt if you are a member of Reality Sandwich/Evolver, you also share this sentiment. Perhaps you, like me, wonder whether and how the paths of yoga and shamanism intersect, and how accessing non-ordinary states of consciousness (NOSC) might be helpful for us yoga practitioners in the West. You might also have wondered what use psychoactive aids, or “plant sacraments,” have for the contemporary yoga practitioner, especially those of us who have told that it is not a “pure” yogic path, and not one that has much to do with the ultimate goal of moksha (liberation). Let’s begin by looking at how yoga and shamanism can be seen as distinct disciplines, viewing it from the perspective of a very well-regarded scholar of yoga, Georg Feuerstein, who has done quite a bit of research into this very subject. One only need look at the practices and of the Naga Babas (the most radical of Shaivites) to see unmistakable signs of shamanism: Use of psychoactive herbs (ganja, datura, etc. ), ecstatic dance and song, the use of the dhuni (firepit) which confers healing and blessing upon the community, asceticism, siddhis (magical powers), initiatory rites, etc. Dr. Wolf-Dieter Storl, writing in his book Shiva: The Wild God of Power and Ecstasy, comments that, “When confronted with the image of Shiva, an anthropologist will most likely think of a Super-Shaman,” (p. 34), as Shiva, in the form of Nataraja, Lord of the Dance, carries a drum in one hand, and a fire in the other. In other words, to use the language of Ken Wilber, the yogi “transcends and includes” the shaman — the role of the shaman tends to be part of the yogi job description, yes, but that job description also entails exploring and embodying the causal realms, not only the astral planes. Yet it is important to note here that Feuerstein does not discount the importance of the yogi’s consciously familiarizing him or herself with the subtle planes of existence (via astral travel, use of psychoactives, etc. ), both for the sake of her own evolution, but also to serve as a healer and intermediary for the community. In other words, while not the goal, for Feuerstein there’s certainly a place for shamanism in Yoga. But what of Feuerstein’s supposition that the shaman does not access the causal dimensions, while the yogi can and does? Is there any evidence to support such a claim? This brings us back to the original quote from Daniel, and into a scholarly debate that has been going on for some time between Stanislav Grof and Ken Wilber. No doubt Feuerstein would argue that we’re talking here about the over-arching goals or premises of shamanism and yoga, not what some yogis or shamans might actually access in their own personal experience. Both Feuerstein and Wilber seem to hold the great Indian sage, Ramana Maharishi[ii] in very high esteem, and they would no doubt suggest that in the world of shamanism we don’t find individuals who have similarly attained to Ramana’s level of consciousness. While this is a point well worth deeply considering and probing, Grof would no doubt suggest that shamans are on the same path of integration, and access many of the same levels in their NOSCs, as perhaps even Ramana Maharishi did in his years of solitude on Arunachala on his way to ultimately becoming the universally honored sage he subsequently became. [iii] However, as I am not as familiar with shamanism as I am with yoga, I cannot directly point to a personage in the wide world of shamanism who clearly reached a similar pinnacle in their evolution. Let me just add a personal note here, though, and say that during my own initial ayahuasca experience — the most harrowing, hallowing episode of this earthly incarnation, I hasten to add (next to my birth, which I don’t remember) — I did feel as if it were a kind of shamanic initiation, involving a profound sense that egoic body-mind complex was being dismembered and ultimately reconstituted. Once the final re-integration was complete, I experienced myself (Self) as “pure awareness” devoid of egoity. At that point, there were no more “vrittis,” or mental modifications, to use the language of the Yoga Sutras, I was truly in the state of Yoga. In simpler terms, I was experiencing the causal ground of Being, at this point, not any astral dimension but a “transpersonal” state of consciousness. Put simply, my shamanic journey took me through the astral into the causal, and ultimately back into a sense of “ahamkara,” or narrow self-consciousness — “The Box” — though a considerably expanded box, to be sure. “My sense is that the people I know that have done it responsibly, have gained a lot from using psychedelics to open up a certain space. But there are downsides. 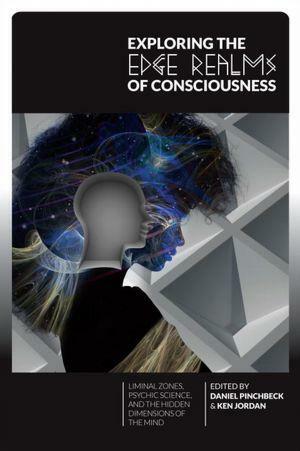 Particularly in this movement, you find there are two general approaches to consciousness studies. One is the druggies, and one is the meditators. “And the druggies are into altered states, and the meditators are into stages. And the meditators believe that you have to actually discipline and work and it’s four years, ten years, fifteen years, to reach a stable realization of these higher states and stages. And the psychedelic or drug side is much more into altered states, ayahuasca, LSD, any sort of number of altered states, and they don’t tend to get into permanent realizations based on these things. “I happen to believe that both of these models — I use states and stages — I believe both of them are required. But there’s kind of an acrimony between these two groups. There are very few people that do drugs and are serious meditators. And the people that only do drugs, I think eventually it kind of tends to catch up in a way. I don’t see permanent realization coming from these things, I don’t see permanent access to some of these higher states, and I think at some point the simple neurological noise of the ingredients starts to almost outshine the luminosity that was there, perhaps, at the beginning. “And so the people I know that I’ve watched over thirty years that have done only drugs have becoming increasingly, frankly, unpleasant people, and disillusioned, and sad, in certain ways. It’s not to say that meditators do all that much better, but there is at least a chance with meditators that you can have a permanent realization that is enduring and not merely a transitory state. Although I sense that there is general support for the Pinchbeck-Mckenna-Grof side of things among those who are reading this essay, and my own current view is that it seems about time that we emerging yoga shamans start to use “any means necessary” and available to us to explore the inner and outer Cosmos, I do feel that Wilber’s general point here is very valid, namely that a combination of entheogens AND meditation seems to be the wisest route. Let ayahuasca be the means of cleansing the doors of perception, if that is your path, but further elaborate and deepen into such expanded states of consciousness via slower, more stable means such as a meditative discipline. That said, I don’t know that we can really make such sweeping judgements about “druggies” like Mckenna. I don’t see him as having been unpleasant, disillusioned, or sad, as Wilber suggests (nor Grof, for that matter), and actually I feel much more inspired by him and Grof at this point than I ever have by Wilber. I sense the reason could be that Wilber’s use of psychedelics is rather limited — he openly admits that one long LSD experience in college pretty much scared him away from psychedelics, until he got into MDMA in the early ‘80s, making a point to note that it was still legal then (though E is not a psychedelic per se) — and I really feel that it is a cardinal principle of debate that one really shouldn’t theorize about what one has not personally experienced in a direct, intimate way. How can Wilber really talk about these Transpersonal therapies without taking them for a spin himself? Test out an actual sacrament like ayahuasca, else be accused of armchair philosophy! To be fair, perhaps Mckenna, Grof, and company also have not done their homework in terms of having a spiritual discipline that they can use as a framework to inform their own models of reality, and it could be that they do not fully comprehend what Wilber is getting at. The same might be said for those of us who would throw out the guru model and eastern metaphysics without actually ever having had a deep encounter with them. I sense that this may be one of the greatest blind spots of the contemporary entheogenic community. I would add that the need for experience of the Mystery is what I’m getting at. Theories and models will always have their value and use, because really only experience + understanding will equal a true change in perspective, but when it comes down to it, talk is cheap, and the hard work is actually taking the plunge into the Unknown and then coming back down to earth and actually embodying the wisdom we’ve been gifted. There are many other reasons why a yoga practitioner might find taking ayahuasca helpful, both personally and for the healing of our communities and planet. As for the latter, I appreciated what Daniel said during his dialogue with Sharon Gannon on ayahuasca[ix], particularly his points that the yoga community has tended to become insular and elitist, and his suggestion that we’re in a time that calls for people like us modern yogis and yoginis, who are already familiar with moving through uncomfortable spaces, to consider the value plant sacraments might have for us now in this time of rapid shifts on the planet. I can relate to these points as I’ve experienced the insularity and elitism firsthand, the kind that sadly shakes its head when the subject of “drugs” comes up, and I have also seen for myself how the ayahuasca experience can move one through some very uncomfortable spaces, thus making it that much easier to deal with real world events and issues. Of course, this is what work “on the mat” does, albeit in a slightly less dramatic way (though even that can be very intense for some — a Bikram class, for example); a plant shamanic journey just accelerates the process. That certainly was my experience. If I may paraphrase Timothy Leary’s famous quote slightly: I learned more during my first session with ayahuasca than I had in 13 years on my yoga mat. To return again to Daniel’s point about exploring the world of spirits, what in yoga is termed the astral or subtle realm, we live in such a materialistic society and age that even we yoga people need reminders that there’s a whole lot more going on here than what we experience through our five senses. And maybe the spirit world and beings from other star systems really do want to connect with us via these plant modalities? Maybe we are meant to consciously alter our DNA as part of the next stage of evolution of humanity? Maybe the plant sacraments really are the true, original teachers of humanity who were sent here long ago to save us from ourselves — at this precise point in history? The evidence suggests that this is all the case, but ultimately we really don’t know. What I sense we do know is that just understanding intellectually that “All is One,” and that we should just “Be Present,” or having someone tell us that some day some way we might have an experience that this is so, is really not satisfying. We want to fully have the experience first, and then use that experience as a model for how we might live more in union, in presence. To truly arrive at a state of presence, there very well may be a lot of “shaking up” that might be required. To sum up this “prolegomena,” which is to say this very preliminary discussion, what I have tried to open up as a possibility is our seeing that there really is a place in yoga for shamanic practices, particularly the use of “plant sacraments.” And to say not only is there a place for these things, but there might be a necessity for these things right now in terms of healing our fractured selves, communities, and planet, and that yoga is one of the most effective disciplines for “preparing the ground,” so to speak, for the harvest, as well as for “riding out the storm.” Oh yogi/ni, why have you made of your body a fit Temple for the Divine if not for this purpose? [i] See Stanislav Grof, M.D., “Ken Wilber’s Spectrum Psychology,” @ http://primal-page.com/grofken.htm. Another wonderful book by Grof which is really a must read for those interested in these subjects is Grof’s recent offering, When the Impossible Happens: Adventures in Non-Ordinary Reality. Sounds True, Incorporated, 2005. Particularly interesting are Grof’s accounts of his meeting with Swami Muktananda, as well as his chapter on his experience with 5-MeO-DMT. [ii] Here’s but one website dedicated to Ramana Maharishi (or, “Maharshi”): http://www.sriramanamaharshi.org . One book which I would highly recommend that everyone read or re-read is Yogananda’s Autobiography of a Yogi, particularly the chapter entitled “The Resurrection of Sri Yukteswar,” as that goes into some detail about what the “subtle” (astral) and “causal” planes are like. Not that we should take this is as the last word on the subject, but just to familiarize ourselves with one highly influential view. [iv] See Ken Wilber, The Eye of the Spirit: An Integral Vision for a World Gone Slightly Mad. Shambhala, 1998, pp. 165-185. In these pages, Wilber for the first time in writing confronted Grof’s criticisms of his work. This needs to be read along with Grof’s essay in response (see above). [vi] There’s a discussion of what might have been the cause of Terence’s death @http://www.shroomery.org/forums/showflat.php/Number/1696452. [vii] Ganga White, Yoga Beyond Belief: Insights to Awaken and Deepen Your Practice. North Atlantic Books, 2007. Danny Paradise is another top yoga teacher who has been an influential advocate of plant sacraments for many years. For an interview with him in which he directly speaks to some of the same issues, check out the following podcast:http://kmo.livejournal.com/408508.html. [viii] From email correspondence with White and from speaking with one of his students, I understand that even though White made that statement, he still has been rather guarded about what he makes public about his use of plant sacraments. He apparently will only talk about it with his students when the subject is broached. I sense that this will all change in the next couple of years, that there will be far more openness in the yoga community about these subjects. [ix] You can watch the video of their dialogue, “Asanas and Ayahuasca,” athttp://www.realitysandwich.com/asanas_and_ayahuasca. You will also want to read all of the comments posted. My own view of what some called a “fiasco,” is that it might have gone over better if Daniel had been dialoguing with a yogini, such as Padmani, who is both a yoga teacher and a regular user of plant sacraments like ayahuasca. [x] I also sense that it is precisely those of us who have been perhaps overly physically-oriented in our life and yoga practice that actually need a high dose of something, anything to bust through the layers of egoity. This idea will take a good deal of unpacking and I’ll leave that for a separate piece.